Every year, Amazon Web Services hosts a conference like no other. 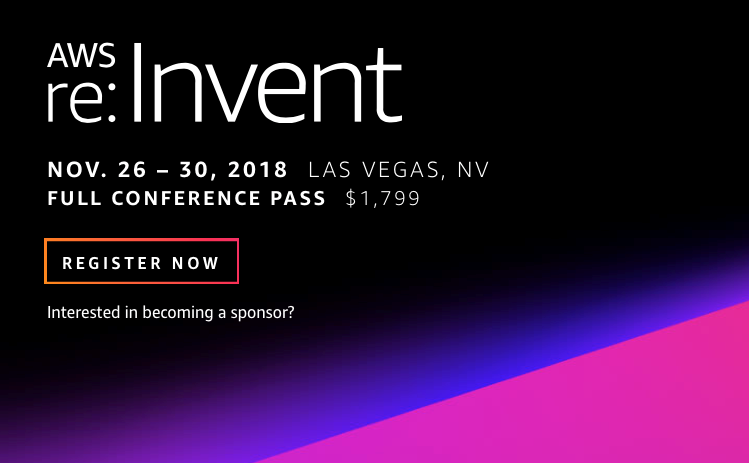 Designed for all cloud computing professionals, including developers, engineers, and technical decision-makers, AWS re:Invent offers opportunities to learn, network, and have fun. If you want some hands-on experience with AWS, you will definitely want to attend a workshop or two. In each two-hour session, participants will be placed into small groups and given a scenario. They will then have to work together to figure out the best solution. One-hour chalk talks are always popular at re:Invent. They start with a brief lecture by an AWS expert and then the floor is opened up for questions from the audience. In addition to the main speaker, chalk talks involve two other AWS experts who will whiteboard problems during the Q&A. There are hundreds of chalk talks over the course of re:Invent, covering an assortment of topics. The Builders Fair allows everyone to see exactly what AWS can do. This year’s fair will showcase more than 70 projects and visitors will get the chance to talk to the people who built them to find out exactly how they were made. The 2017 fair featured several innovative creations, including a flight simulator and a virtual dog. Conducted on a first-come, first-served basis, hands-on labs will give attendees AWS practice in a live sandbox environment. You get to choose the lab – ranging from introductory to expert – and then walk through the steps at your own pace. Topics include building and deploying containers, monitoring security groups, and creating and tuning models. If your company plans to make an investment in artificial intelligence, you won’t want to skip the AI Summit. Featuring 30-minute Lighting Talks from industry leaders – including Alexandre Bayen and Mona Singh – subjects will cover all of the latest AI information and trends. The highlight of re:Invent for a lot of people, these fun events involve solving problems and completing tasks utilizing games. You can arrive with your own team or just join one when you arrive, but either way your goal will be to come up with the best solution while experimenting with AWS services. Plus, when you score the most points, you’ll be awarded prizes. The bootcamps at re:Invent provide an excellent opportunity for cloud computing pros to improve on their skills or learn new and different ways to work with AWS. This year there are four types of bootcamps: technical, business, partner, and AWS-certification-exam readiness. Speaking of certification, re:Invent will also give you the chance to become AWS certified. If you are looking to advance your career, certification would be a valuable addition to your resume. This will also allow you to join the AWS Certified global community, which will give you access to activities at AWS events, along with special merchandise. While re:Invent doesn’t technically begin until Monday, November 26, if you’re planning to go, you may want to arrive a day earlier. This is because Midnight Madness is on the 25th from 10pm-1am. This pep-rally-style event will give the first 8,000 fans a look at what to expect and a behind-the-scenes glimpse into AWS. There will also be food, drinks, a marching band, and a dance. The pros at CloudHesive always make sure to attend re:Invent. This allows us to stay current on the latest cloud computing information and enhance the services we offer our customers. To learn more about what CloudHesive provides, feel free to contact us. For more details on re:Invent, just visit the event website and start clicking, scrolling, and getting excited!